The latest addition to the New Lane development in Selby, Inner Vision Opticians, held its grand opening event on Saturday 21st April. The event was attended by members of the public, family and friends of owners Vikki & Mark Korolkiewicz and the ribbon was cut by Nikki Doeg, one of the inspirational Yorkshire Rows who famously sailed the Atlantic Ocean in just 70 days. 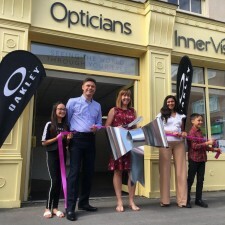 To celebrate the store’s opening and as a nod to the fantastic achievement of the Yorkshire Rows, the team at Inner Vision are offering free eye tests for their first 70 customers. The new business is located in between the Escapologist Escape Rooms and Domino’s Pizza on New Lane, adjacent to Market Cross. They are now open for business and taking appointments for eye tests. InnerVision offer a wide range of designer and designer-inspired collections across all price ranges which include notable brands such as Oakley and L. K. Bennett, Jaeger, William Morris and Charles Stone. 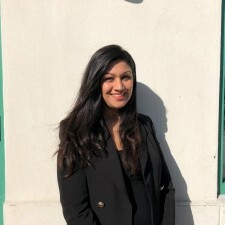 Vikki Korolkiewicz, who is heading the new business venture, has been a qualified optometrist for more than 17 years, adding to the impressive total combined years of experience at the practice of 38 years. Katrina Eldgridge also joins the team, adding 15 years of optical experience in the Selby area.